Just in time for the first snow in Three Rivers, we just received a new shipment of tasty food items from Equal Exchange — including hot cocoa! 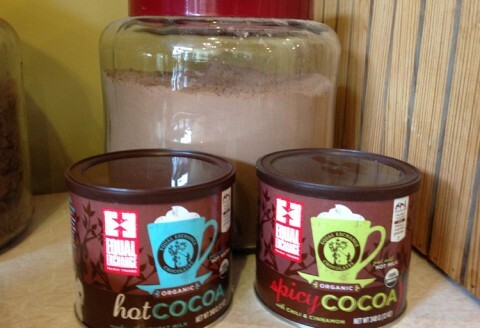 Stop on in and grab organic hot cocoa or spicy cocoa in 12 ounce canisters for $7.75. Or you can save money and buy the organic hot cocoa in bulk for just $.50 per ounce. They’re all tasty options to welcome in our new winter weather!